To even recognize the name “George Lazenby,” you have to be a somewhat dedicated fan of the James Bond action film franchise (or a casual fan of the Emmanuelle softcore erotica franchise, eight entries of which featured the actor, albeit in a non-sexual role). But if you are a Bond enthusiast like myself, you know Lazenby as the Australian male model who, despite having no acting experience, somehow landed the part of James Bond after Sean Connery’s (first) retirement from the role. Then, Lazenby made the infamously bad decision of turning down a seven-picture contract and publicly declaring that he was stepping away from the 007 series in order to make more “serious” films. Unfortunately for him, “serious” film offers failed to materialize—unless you consider the 1992 made-for-cable classic Emmanuelle’s Perfume to be the height of legitimate drama. In most past interviews I’ve seen with Lazenby, I’ve gotten the general impression that he was an oversexed, vapid male model whose unearned confidence elevated him to the pinnacle of stardom, then brought him crashing back down to obscurity after he flew too close to the sun. A new documentary from Hulu, Becoming Bond, doesn’t really disabuse me of that notion, though it does make Lazenby’s tale of hubris and horniness more sympathetic, complete, and legitimately funny. Becoming Bond features Lazenby narrating the story of his own life, intercut with humorous docu-drama reenactments of the man’s (often incredible) anecdotes. 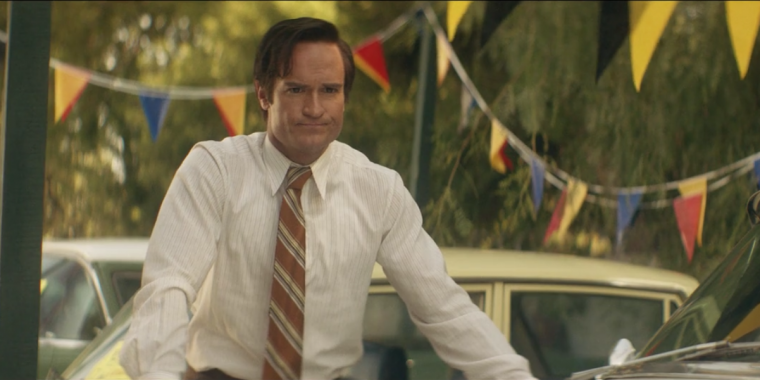 Those scenes star Aussie actor Josh Lawson as Lazenby, and feature numerous fun cameos, including Dana Carvey as Johnny Carson and former Bond girl Jane Seymour as Lazenby’s agent. What may come as a surprise to automotive enthusiasts (who typically share a Venn diagram segment with Bond enthusiasts) is the large role that vehicles played in Lazenby’s life. 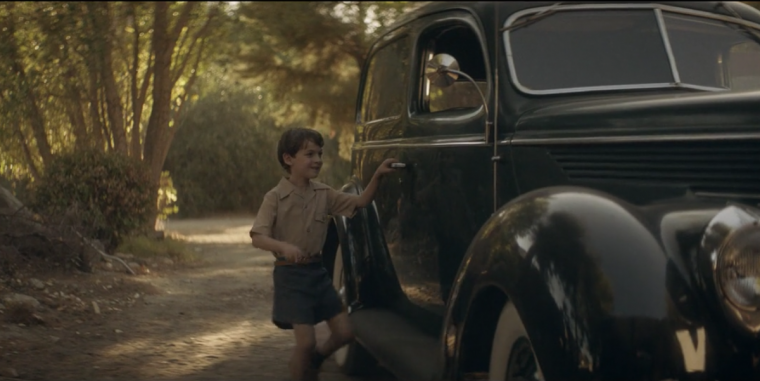 A six-year-old George living in nineteen-forties Goulburn, Australia, began his lifelong passion for motoring by stealing his uncle’s 1936 Ford. Lazenby refers to his precocious young self as a “larrikin,” which is Australian slang for a wild maverick. At age 15, Lazenby pretended his motorbike had broken down in order to chat up his first serious crush. Later, they consummated their mutual attraction in the backseat of a car. (Lazenby also attempted to reach paradise by the dashboard lights with his first true love, but was frustrated by a very amusing episode of erectile dysfunction, which inspired what may have been the supremely arrogant actor’s one and only crisis of confidence). After failing to graduate high school, Lazenby ended up working as an auto mechanic, but grew envious of the car salesmen who appeared to be having all of the fun. After a rough start in his new role, Lazenby took a “How to Win Friends and Influence People” course, where he learned to listen to customers rather than talk at them. Eventually, he was promoted to Used Car Sales Manager on the strength of his wheeling-and-dealing abilities. Lazenby stresses that the transition from mechanic to salesman was instrumental in developing the charm and charisma he would need to eventually portray the world’s most famous spy. Indeed, it was while working as a Mercedes-Benz salesman in London that Lazenby was eventually “discovered” by a fashion photographer, who convinced him to become a male model. From there, Lazenby transitioned from car guy to swingin’ sixties model, and then to world-famous movie star, with a string of love affairs and crazy drug-induced experiences along the way. The film proceeds at an excellent pace, with delightful anecdotes piling up at a steady rate, each one more remarkable than the last. At times, they even seem a bit too remarkable. At one point, the off-camera interviewer asks Lazenby how much of what he’s been saying is true. That logic is specious as hell, and many of Lazenby’s claims do strain credulity. Yet if this used car salesman was a good enough bullshitter to lie his way into the role of James Bond, then he certainly has what it takes to spin a tall tale that entertains for ninety minutes.